Our Kamloops dental clinic features a variety of services and amenities to improve your experience with us, and help you maintain a healthy smile. At Cedar Dental Centre, we understand that choosing the right dentist for your family is one of the most important decisions you'll make for their long-term oral health. Our dental clinic offers the following features and services to help you and your family maintain good oral health. 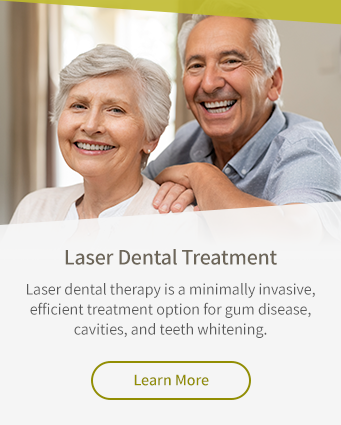 Laser therapy is a versatile method for treating a variety of dental issues and conditions. Our dental clinic is open early on weekdays, and we're available on select Saturdays, too. We offer a complete range of general dentistry services to keep your smile healthy and bright. Feeling anxious about an upcoming dental procedure? Our friendly team can help put you at ease during your appointment. Our caring dental team provides treatment options tailored to the unique needs of children's growing smiles. Have a dental emergency? Get in touch immediately and we'll make room in our schedule to see you ASAP.